Tour ACI’s 130,000 sq ft Fabrication Shop! ACI is an extraordinary company doing extraordinary work for our customers. 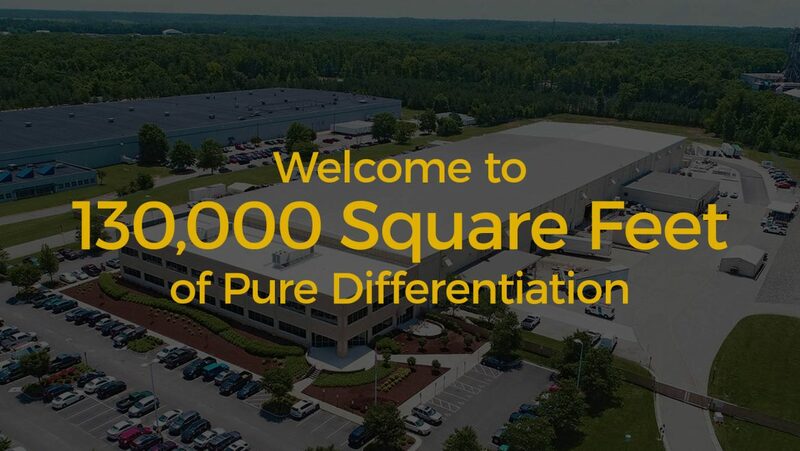 After our people, one of the biggest assets we leverage to the benefit of our clients is our massive, highly automated 130,000 sq ft fabrication shop. 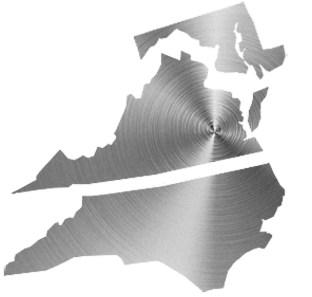 Here, we can prefabricate complex installations, handle large scale painting and blasting jobs, assemble massive sheet metal and duct work builds, weld and cut pipe with speed and precision and many other self-performed construction projects. A facility like this empowers us to provide truly innovative solutions as well as allowing us to save our clients time and money while ensuring the highest levels of quality and safety. While there’s nothing like walking through our facility to truly help gain an understanding of the scope of what is possible here, we hope this video overview will give you a good idea of what ACI can do for you and your next project. 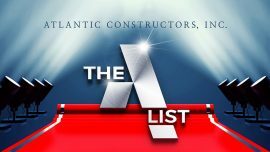 Atlantic Constructors, Inc. is a full service industrial and commercial contractor headquartered in Richmond, VA (Chesterfield County) with satellite offices in Newport News, Roanoke, and Hampton Roads, VA. Our highly skilled team of over 600 employees serves customers throughout the mid-Atlantic region. For more information, visit www.acibuilds.com. For media information, contact Eddie Williams, Director of Marketing at 804.523.8795. The 200-plus guests who visited our 130,000-square-foot, highly automated production facility had the opportunity to explore our facility and experience firsthand the many self-performed services ACI has to offer. Local food trucks from Curbside Creations, Riverside City Wood Fire Pizza, and Slideways Mobile Bistro provided much of the fare, with delicious desserts provided by Carytown Cupcakes. To enhance the cupcake experience, our sheet metal shop crafted an amazing, one-of-a-kind cupcake display! As no special event is complete without live music, we engaged up-and-coming Virginia recording artist, Bryan Elijah Smith. The sounds of his unique brand of Americana music rang through the facility, providing entertainment that had our more than a few guests tapping their feet and singing along. We hope this Open House allowed our guests to see how much we value them. Many new connections were made and many existing ones were strengthened. Thanks again to everyone who helped make our A-List Open House such an extraordinary success! Before we find ourselves too far down the road into 2018, we’d like to take a moment to look back at the many changes and accomplishments we saw last year. 2017 marked another year of significant growth for the region’s leading construction and service specialty contractor. Of particular note, ACI completed a major expansion of our fabrication facility, adding an additional 30,000 square feet of workspace. 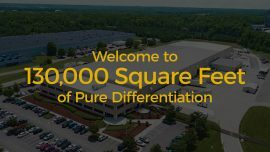 This expansion brings our total workspace to 130,000 square-feet and allows us to perform more prefabricated work, exercise more control over schedules, and meet critical shut-down deadlines. 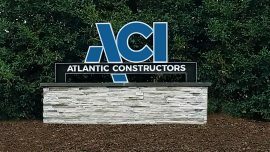 ACI also underwent a major change to their corporate branding, with a new logo, new website, and new url and email address, “acibuilds.com.” These changes more accurately reflect the modern, innovative organization ACI has become and will better represent the company in the years to come. Nathan Karr was promoted to Business Development Executive – Commercial. In addition to being responsible for Commercial Mechanical Construction sales, his work procurement responsibilities now include Fire Protection, Roanoke construction projects, and combination Mechanical- Electrical-Plumbing-Fire Protection projects. Project timeline is set for March, 2018 to August 2019. ACI’s Industrial Division continued to impress, meeting both sales and revenue goals while winning more jobs than in any previous year. They secured an uniquely exceptional project with San-J International, the first ever project to allow ACI to deliver on eight of their industry practices – Mechanical, Electrical, Plumbing, Fire Protection, Fire Alarms, Process Piping, Equipment Setting, and Process Controls. Among the many other notable awards for ACI Industrial were four NOx Emission Abatement Mechanical Projects for AdvanSix (Honeywell-Hopewell), as well as numerous projects for Altria, DSM, DuPoint, Merck, Park 500, and Phillip. Hal Hamner was promoted to Business Development Executive – Industrial. Hamner oversees all sales of major industrial capital projects but also skid fabrication and construction management opportunities. Jeff Smith was promoted to Business Development Manager – Industrial Division and manages all sales for Industrial Services. Three-year grease trap plumbing and cleaning contract. Contract with to make repairs to all mechanical systems. Replacement of 19 units and hail guards. Renewal of mechanical and electrical contract for 30 university buildings. Replacement of 210 fan coils. Replacement of 14 roof-top units and installation of the first prolonged building system. 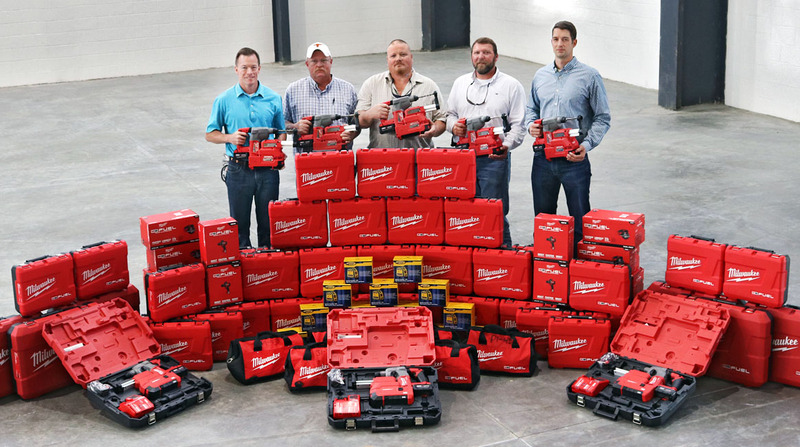 ACI saw significant growth and change within the Electrical Department last year, achieving sales approaching $8,000,000, doubling the approximately $4,000,000 of the prior year. As part of ACI’s new streamlined organization, Electrical was moved into the ACI Construction Division, with Keith Dunford and Gary Crawford promoted to Project Managers and Chance Vangorder promoted to Electrical Estimator. As part of the Construction Division, ACI electrical has been instrumental in the work with San-J International as well as the large addition and renovation project at CJW Medical Center. ACI has won numerous jobs for our Fire Protection scope this year. Most notable is the fire protection scope for a new Facebook facility. This massive job will span over 18-months and use approximately 13,000 sprinkler heads. Other notable Fire Protection jobs include the new Eldor Corporation facility in Roanoke and the UVA Chemistry Building renovation, which is scheduled for completion by the end of 2018. To help reach more potential employees, ACI’s Human Resources team has greatly expanded their operations and added multiple new approaches, such as on-site job fairs and increased involvement with apprenticeship programs. In fact, ACI was able to enroll more than 60 apprentices in 2017 alone. Human Resources has also increased social media usage, creating a Facebook page dedicated solely to talent acquisition (www.facebook.com/ACIcareers). A new toll-free phone line was also launched in 2017, 1-877-WRK-4ACI. As an ever-more diverse company, ACI joined SKANSKA in a Virginia Diversity Advocates meeting in June of 2017. This meeting brought together supplier diversity advocates from State Governments, Local Governments, and the private sector from across the State. The all-day session at the Black History Museum provided participants with current information on relevant legislation, construction industry trends and leading practices in supplier inclusion. ACI continued to support efforts to be inclusive in our development of small, women- and minority-owned businesses. Of special note is ACI’s support of Katilyst Company (Richmond, VA), and GP Supply (Greensboro, NC). Katilyst is a women-owned, innovative HVAC and energy consulting firm and has become one of ACI’s Affinity Partners. GP Supply is one of largest minority-owned plumbing supply houses in the country. ACI was instrumental in helping them to overcome obstacles to certification as a minority-owned business in Virginia. In addition, we have made many introductions to Virginia-based government agencies and private sector firms. Two ACI executives have agreed to mentor GP Supply’s CEO and the hope is that soon, they will open a warehouse and distribution center in the Richmond area. With Sean O’Brien promoted to Client Solutions Manager and handling all major projects, ACI’s Roanoke location is poised for continued growth. This year, ACI Roanoke was awarded the Eldor project, consisting of the Design Assist for Mechanical, Plumbing, and Fire Protection for this new state of the art 250,000 SF facility located in Daleville, Virginia. This is a unique project because ACI Roanoke and ACI Richmond will team to complete the project. The Roanoke team will manage and install the mechanical and plumbing scopes, while Richmond team installs the fire protection piping system. In addition, the Roanoke Division was also awarded the mechanical and plumbing for the upcoming Washington & Lee Indoor Athletic Facility (180,000 SF). Construction is set to begin in April of 2018 and will take approximately 18-months to complete. Transporting goods from a church in Suffolk, VA to an island more than 1,000 miles off the U.S. coast has proven to be incredibly difficult. Jonathan Gonzalez is an ACI employee at our Suffolk location and a Puerto Rico native with many family members residing on the island. After Hurricane Maria made landfall on Puerto Rico, Jonathan waited several days without hearing if his family was okay. Finally, he got word from a radio station that his family had survived. 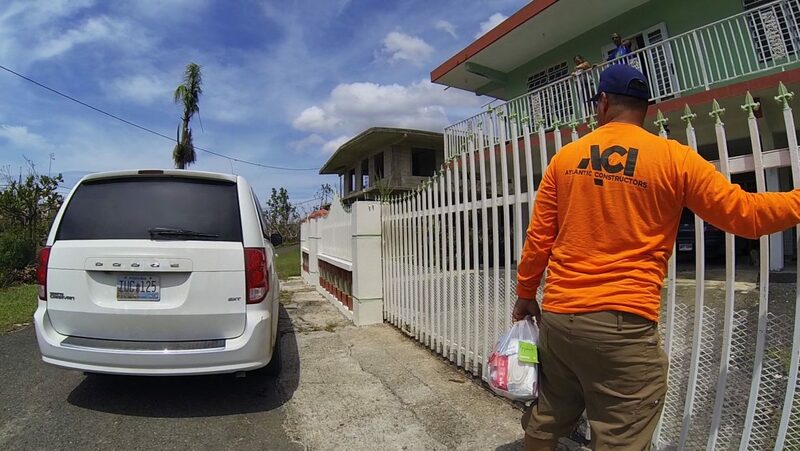 Like many other Puerto Ricans in the wake of the storm, he decided he would make the trip to the island himself to bring supplies to his family and community. ACI employees at the Suffolk location collected more than $300 to help Jonathan buy supplies. With this contribution, Jonathan was able to bring 1,000 pounds of food, water and water purification systems, cases of baby wipes for bathing, electronics, flashlights, batteries, battery chargers, extension cords, and a satellite phone to establish communication. ACI also purchased black bins that helped transport the supplies easily. Upon arrival, Jonathan received law enforcement escorts and help from the mayor to disperse his goods as efficiently as possible. With a little help from ACI, Jonathan was able to provide much-needed relief for 10 days. There is no doubt it takes a certain kind of team to support a fellow employee in this way. We would like to thank everyone who contributed to Jonathan’s journey and his efforts in assisting the people of Puerto Rico. He shared images of the overwhelming damage and devastation caused by Hurricane Maria. Click the links below for more. ACI Congratulates Our Apprenticeship Grads! ACI was represented at the June 2nd ceremony by Terrence Kerner, Keith Dunford, Gary Crawford, Melissa Weaver, Chancelor VanGorder, and Tim Hodge. Keith has been an instructor in the program for three years and Chance just completed his first year in this role.